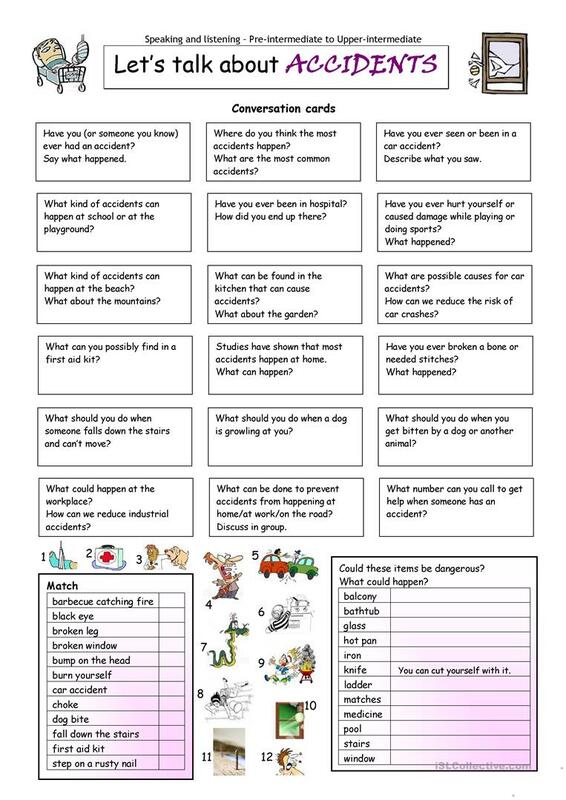 This worksheet contains 18 conversation cards, a creative box and a matching exercise. The cards can be cut out if desired and be used as conversation questions. Can be used with both young learners and adults (pre-intermediate to advanced). The present downloadable worksheet is intended for business/professional students and high school students at Pre-intermediate (A2) and Intermediate (B1) level. 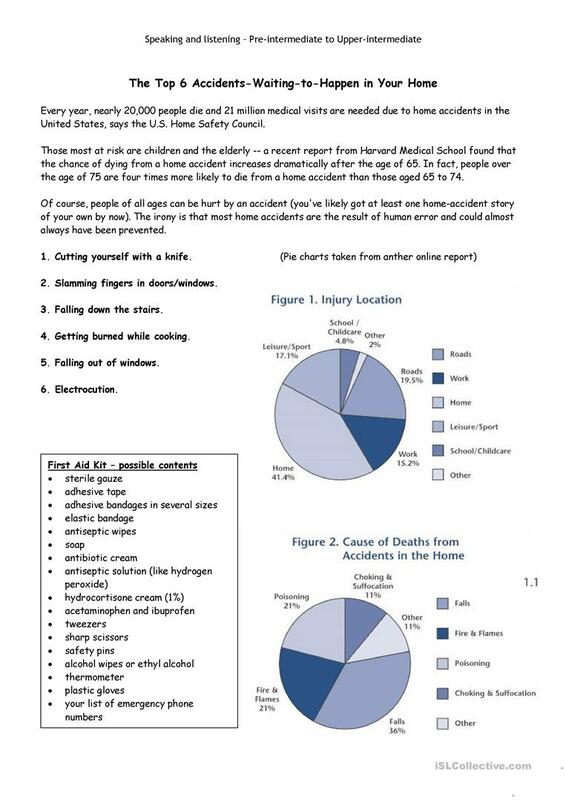 It is about the theme of Accidents. The exercises come with the solutions.